This is a series on five major election issues seen through the eyes of the national museum. In the lead-up to the 2017 General Election, we have linked each of these issues to objects from the collection, or education programmes run by Te Papa. In this post, Acting Head of Mātauranga Māori Puawai Cairns writes about Immigration. 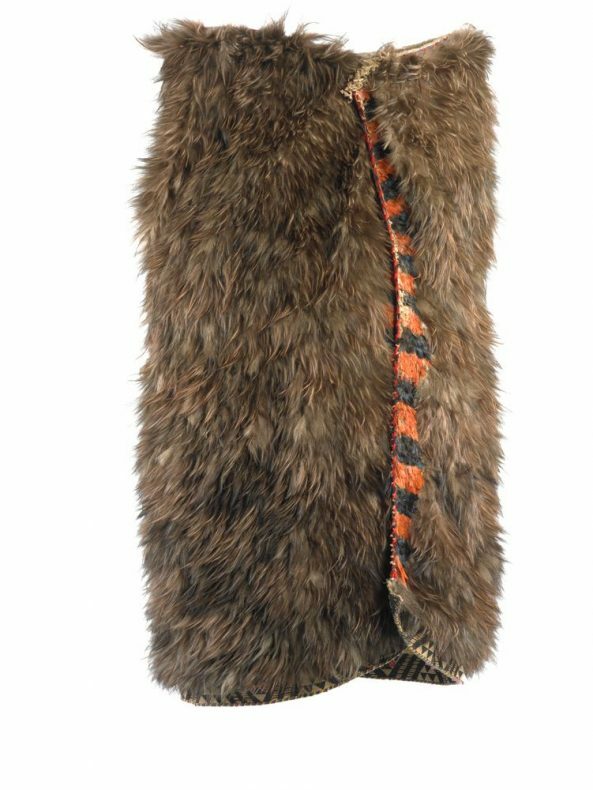 In one of the large drawers in Te Whare Pora o Hineteiwaiwa, the Māori textiles store, here at Te Papa, lies a beautiful kahu kiwi, a brown kiwi feather fine cloak. It is fringed with brilliant orange kākā feathers, deep blue black feathers of the tūī, and brightly coloured Berlin yarn (a fine worsted wool used for Berlin work). At the lower border is the intricate finger twining weaving called tāniko, precise in its geometry. This beautiful kahu kiwi, named Piata (meaning bright, to shine) is the taonga I have selected to talk about the theme immigration, as part of a series leading up to the 2017 General Election. Why choose this particular taonga to talk about immigration? This exquisite cloak once belonged to a woman of very high status called Rāwinia Ngāwaka Tūkeke (-1898), of Ngāti Kere, Ngāti Hinetewai (Pōrangahau). A person of chiefly whakapapa (genealogy), Rāwinia was the leader of her community of Pōrangahau, in the Hawke’s Bay, which deliberately invited and embraced Pākehā settlers into their area, and has been remembered by Rāwinia’s descendants as a recorded case where tāngata whenua effectively took local control of immigration processes into their community, to the benefit of all. 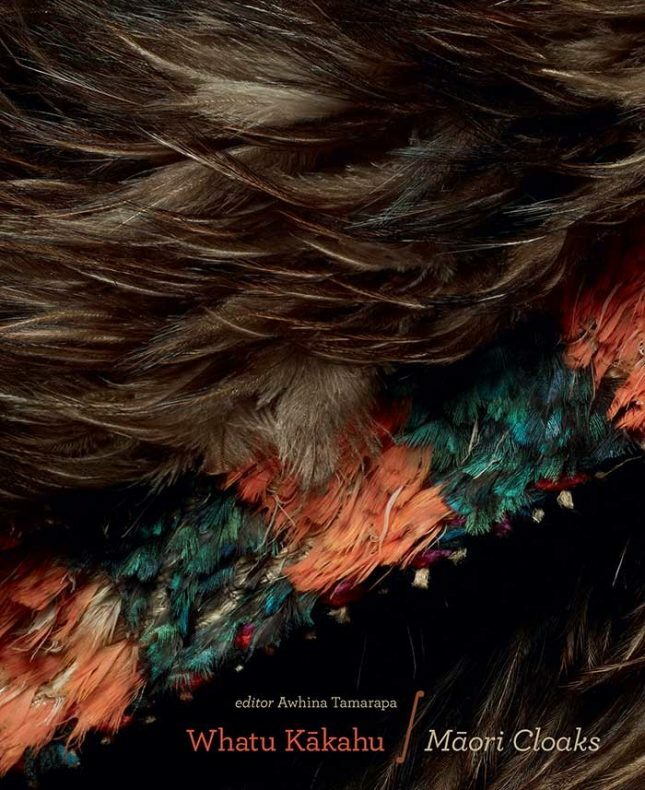 A detailed image of this cloak is on the cover of the book, Whatu Kākahu | Māori Cloaks (ed. Awhina Tamarapa, 2011), where you can see the blocks of bright kākā and black tūī feathers. Whatu Kākahu | Māori Cloaks. (Awhina Tamarapa, editor), Wellington, Te Papa Press. The cloak was presented to the Dominion Museum (a predecessor of Te Papa) in 1967 by Miss Judy La Marsh, the then Canadian Secretary of State, as a token of thanks for the manaaki (courtesy for visitors) that she received on her 1966 visit to New Zealand. From its history, we can see how and why the kākahu is a tohu (symbol) of diplomacy, and of relationships, initiated by Rāwinia in that first act of gifting the kākahu. It is a legacy of which her descendants are very aware and which they continue to honour. The families of Pōrangahau maintain their connection with the kākahu, and the descendants of the St Hill family have also come to the museum to visit and reconnect with this beautiful piece of their history. As we head into an election where immigration is a theme debated by politicians, and recent research showing New Zealanders have a positive attitude to immigration, Rāwinia, her kākahu, and the legacy of her actions, remind us about the importance of forging new relationships/partnerships, and honouring those which have been built over a long time. The rangatiratanga exemplified by Rāwinia did not end with the initial invitation and first wave of settlement in her lands, it continued on and was complemented with principles of aroha ki te tangata (generosity), and manaakitanga (altruistic care for visitors). Much of the information that is here in this blog owes a debt to the work of former Te Papa curator and now Honorary Research Associate, Awhina Tamarapa and Professor Piri Sciascia. Pedersen, H., & Sciascia, M. (2007). Tuāhine: Sisters of Porangahau. Waipukurau, N.Z. : APN Print. Sciascia, M., Pedersen, H., & Pedersen, H. (2004). Hakui: Mothers of Porangahau. Waipukurau, N.Z. : Te Hanganui Partnership. Sciascia, M., Pedersen, H., & Morris, B. (2011). Matatoa: Fathers & sons. Porangahau, N.Z. : Te Hanganui Partnership. Rawinia’s cloak – continuing connections. (n.d.). Retrieved from Te Papa Collections Online. Sciascia, P. (2007). Foreword. In M. Sciascia, & H. Pedersen, Tuāhine: Sisters of Porangahau (p. 4). Waipukurau: APN Print. Tamarapa, A. (2011). Whatu Kākahu. (A. Tamarapa, Ed.) Wellington: Te Papa Press.